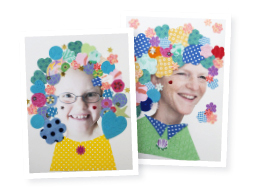 Making pom poms is a favorite amusement in this house. It’s easy and everyone can choose their favorite colors. 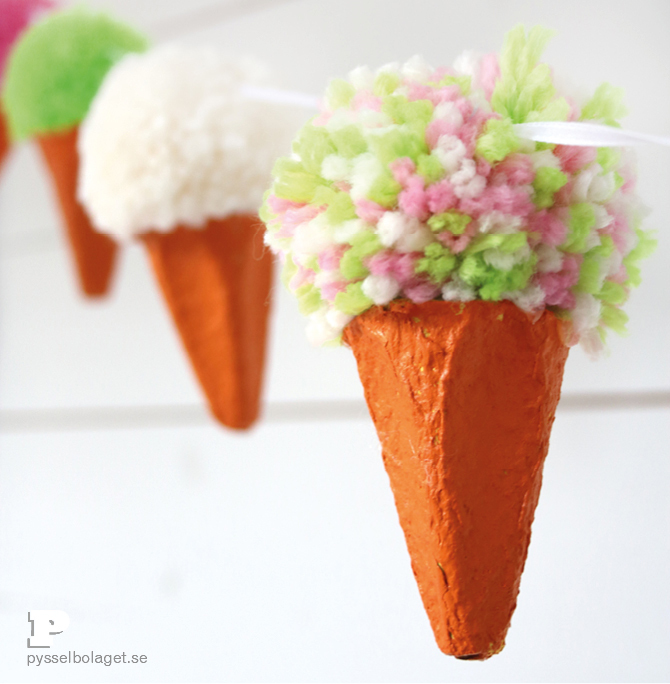 With pieces of an egg carton we’ll turn the pom poms into to ice creams, and the ice creams into a garland ! Festive, don’t you think! 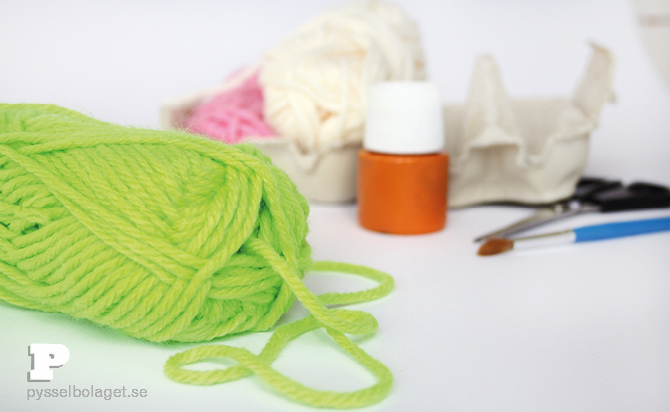 You need yarn, scissors, egg cartons, acrylic paint and a brush. You will also need glue, we have used a glue gun. 1. The middle bits of an egg carton has the shape of an icecream cone. Cut out that piece and paint it with acrylic paint. 2. 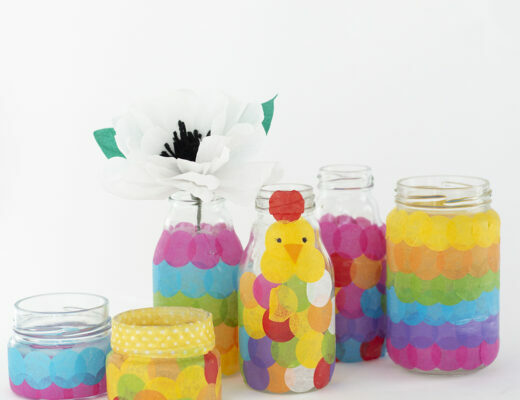 Then make pom poms. 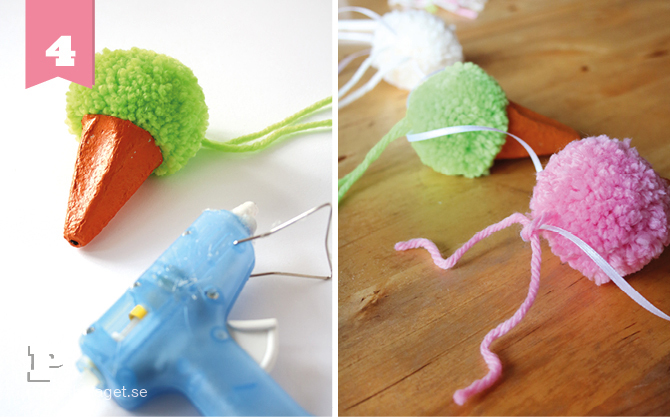 We have used a Pom Pom Maker, but you can of course make them the traditional way. For a detailed description on how you use a Pom Pom Maker, check out last year’s Pom Pom Wreath. 3. A gentle trimming may be needed for the pom pom to be smooth. Make sure to keep the strings you tied the pom pom with. We will use them later. If you want extra fluffy pom poms, hold them over boiling water for a while. 4. When the pom poms are done and the cone dry it’s time to put them together. 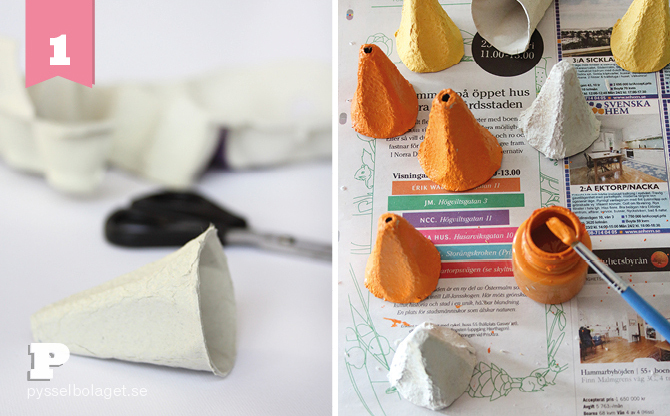 Apply a good layer of glue along the edge of the cone and push on the pom pom with the strings upwards. 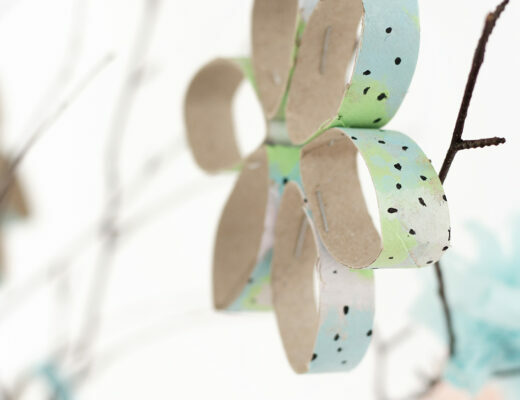 Then use the strings to tied the icecream onto a ribbon and the garland is finished. 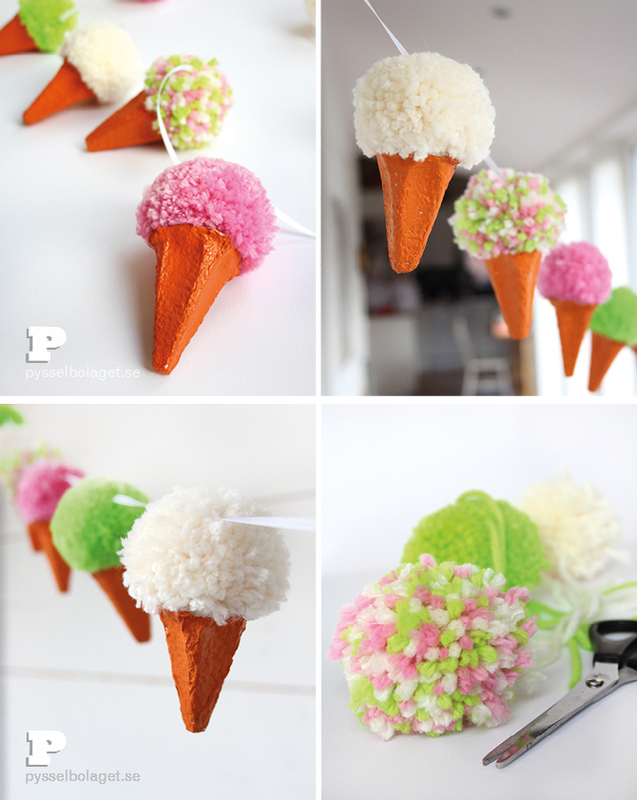 Voila – a delicious icecream garland! 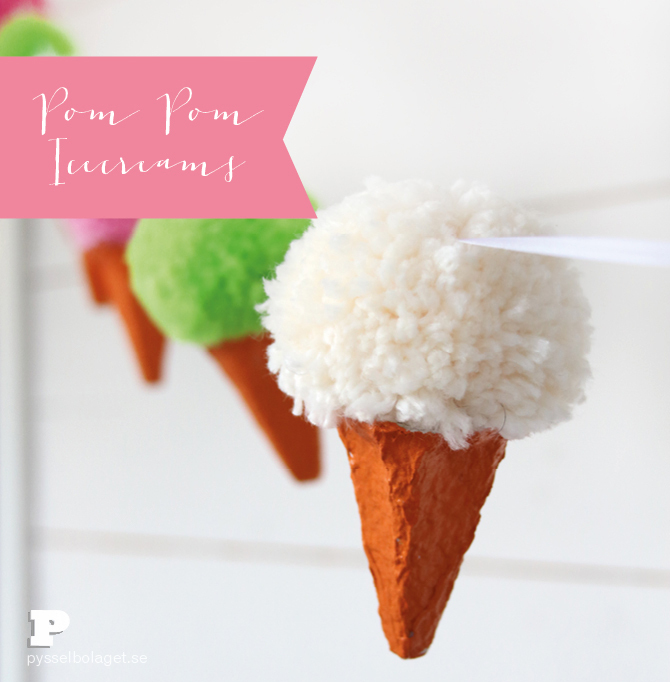 Tiny delicious icecreams now hangs nicely in our room awaiting a party! 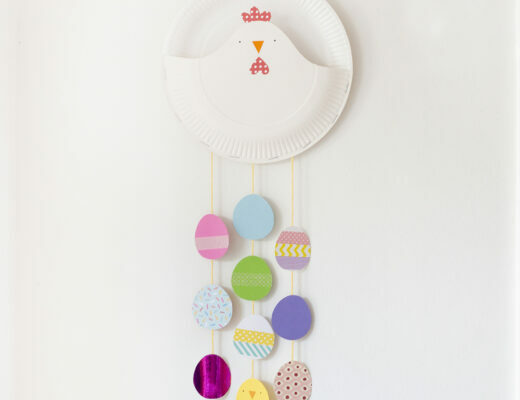 Fantastic idea… now have to locate the egg cartons. So much foam is used now. 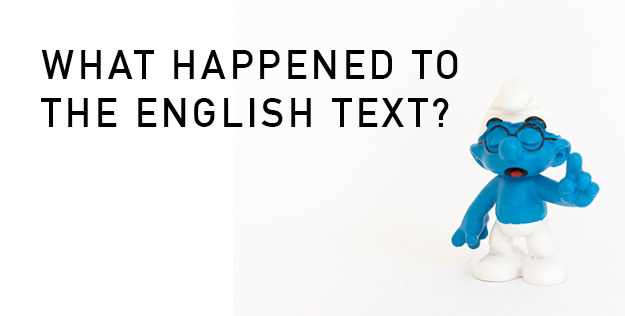 But will ask my friends…. THANK YOU. I didn’t know that! All egg cartons in Sweden are made of paper. Good luck with the egg carton hunting! These are super cute. I don’t know where in the egg carton I’ll find a cone (perhaps you can detail that more)? 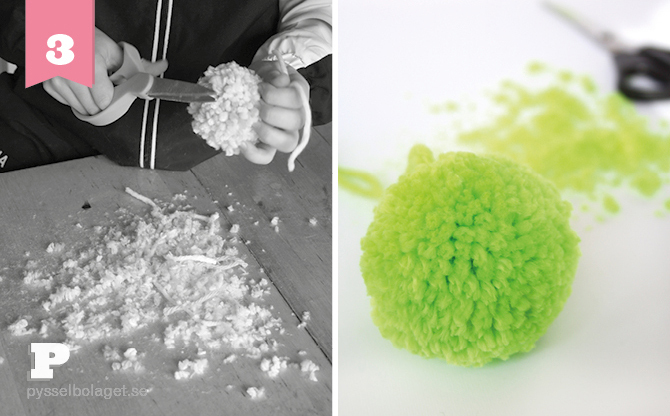 Can you post how to make a ‘traditional pom-pom’? This post assumes everyone know this info. Thanks. 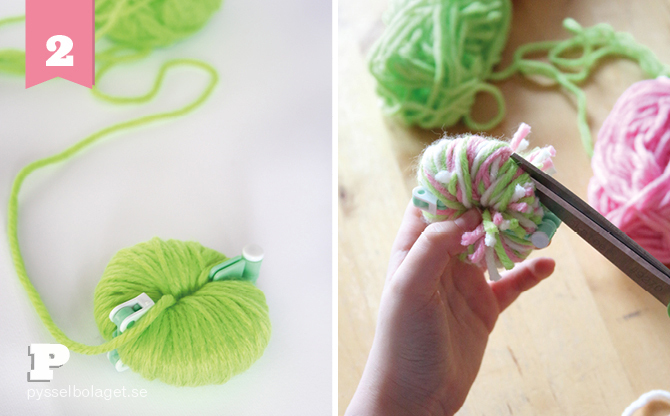 That’s a great idea and we will try to post a “how-to” for traditional pom poms soon. Regarding the egg cartons it seems they look a bit different in different countries. We have used the mid bits of a 6-pack cartons. If you look closely in the picture with all the materials to use you see our carton in the background. I hope this is enough to help you. LOVE this idea for a kids party!!!! I’m so glad you like them. 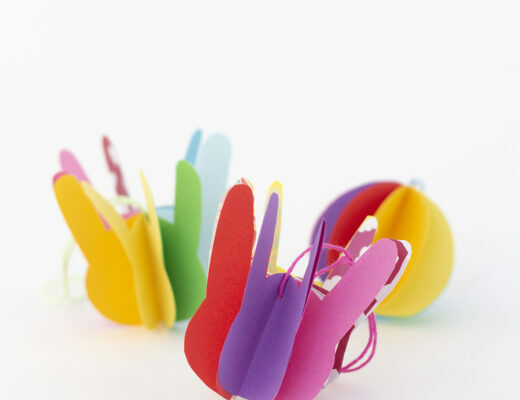 We had so much fun making them and they ended up being a perfect gift for a little new born friend of ours. Thank you for taking the time to drop me a line! Hi, Which brand of yarn would work the best for these ice cream cones? And for the rest of your animals, etc. I live in USA and shop on Amazon.com – Love how luscious the yarn looks! Very cute idea! Hello, I use a Swedish brand I’m afraid, but I think any acrylic yarn will work. 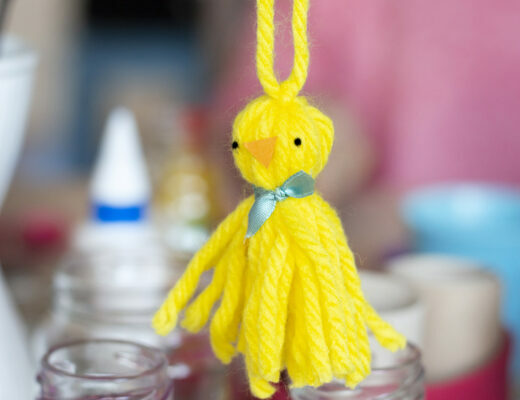 We use solely acrylic yarns for our pom poms, but woll will work as well. We have also tried cotton yarn but the pom poms get really spiny. I hope you find this helpful?